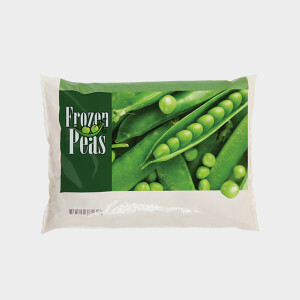 Frozen food bags are made with an extra polymer layer, which protects the contents but makes them non-recyclable. Make sure to throw these bags in the trash. Consider buying fresh instead of frozen or canned produce. You can use reusable produce bags and freeze any food before it expires. Check out this review of produce bags by The Kitchn, or learn how to make your own.